My group is interested in the regulation of cerebral blood flow at the blood brain barrier (BBB) and in the distinct roles of the involved cells types. The BBB is formed by vessels and consists of the basement membrane and cells, which have special properties leading to a very tight and highly organized structure at the interface between blood and brain. In a healthy brain, the BBB prevents neural tissue from the invasion of pathogens, the infiltration of immune cells and extravasation of serum proteins. In addition, brain cells have a high demand for glucose, oxygen, and other factors, coming from the blood. The perfusion with blood is tightly regulated in terms of time and localization. 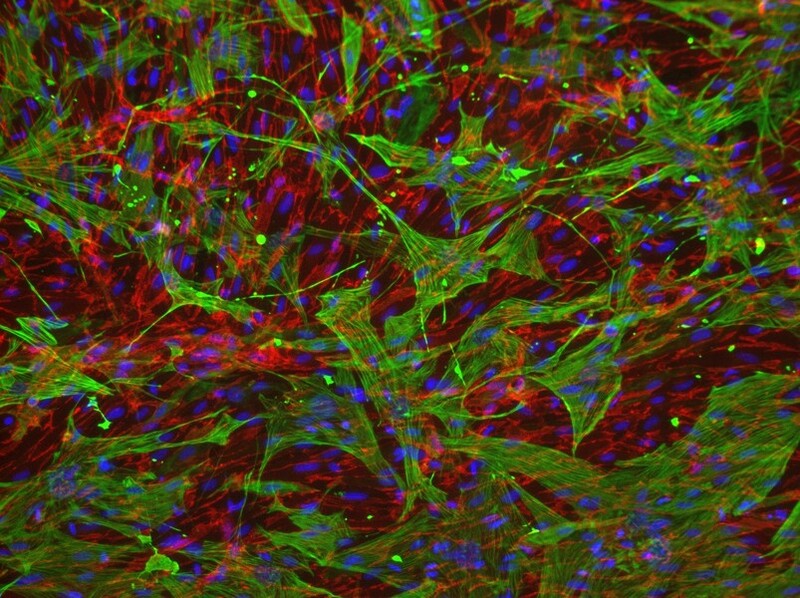 In this process different cell types, including neurons, astrocytes, pericytes, smooth muscle cells, and endothelial cells, are activated and all of them are able to influence the kinetics and amplitude of perfusion. If the communication between these cells is dysregulated as in stroke, dementia, diabetes, or obesity, also vascular reactivity is altered. We are interested in intercellular connections, especially in those that involve endothelial cells, and in the effects of endothelial dysfunction on related brain functions. For this purpose we are using state-of-the-art technologies like two-photon microscopy, tissue-specific knockout animal models, and virus-mediated gene transfer.